The 2019 Canadian Homeschool Conference starts this Wednesday! It is a six-day online event featuring knowledgeable speakers, a vendor hall, opportunities to interact with other attendees, fun, and giveaways! The best part is that you don’t need to leave the comfort of your own home (or pay for gas or other travel expenses). It is free to attend live. Plus you can grab a lifetime pass so you don’t miss a thing. 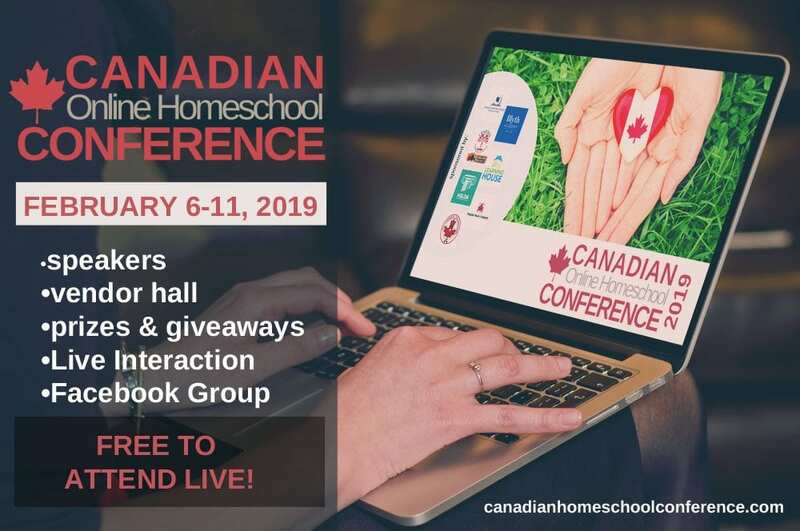 The 2019 Canadian Homeschool Conference features a variety of speakers, from homeschooling moms to business owners and organizations in the homeschool and education realm. Speakers include Lisa Marie Fletcher (The Canadian Homeschooler), Kathleen Cotter Lawler (RightStart Math), Dr. Lisa Roman-Dwyer (Social Worker and Therapist), and more! There are sessions for parents, youth, and kids – something for the whole family! Sessions include topics such as teaching kids to cook, special needs, unschooling, Google maps (for kids), story writing (for youth), and more. Visit with some of your favourite homeschooling vendors and learn about some fantastic new ones in the vendor hall! Check out The Learning House, Usborne Books, HSLDA, Tree of Life, Crayola Teachers and more! You’ll get a goodie bag from the vendors full of coupons and special offers! Don’t miss this amazing conference. Register for the 2019 Canadian Homeschool Conference now! Choose free Live Conference Access for access until February 12th. OR banish the fear of missing out and get Lifetime Access for only $35 for the whole family. Get Live Conference Access or Lifetime Access here. See you at the conference! I’m looking forward to it! Canadian Online Homeschool Conference AND Giveaway! 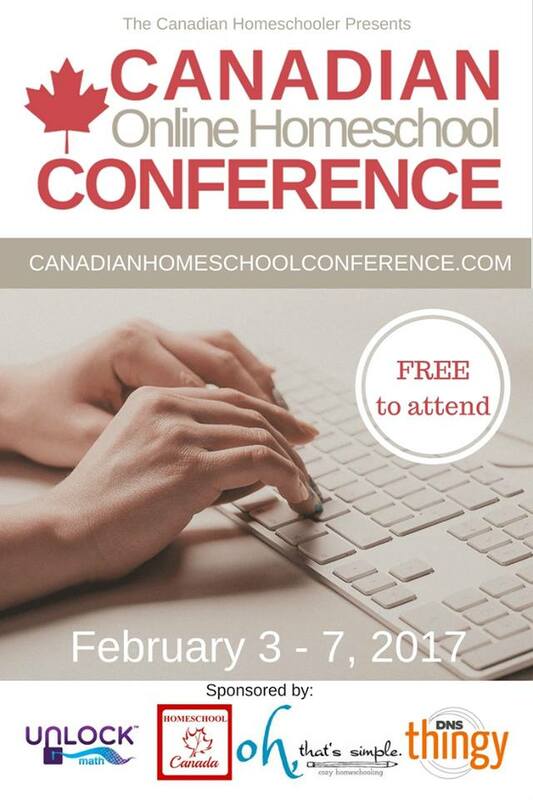 The Canadian Online Homeschool Conference starts Friday! It is a five-day virtual event featuring knowledgeable speakers, a vendor hall, opportunities to interact with other attendees, fun, and giveaways! All without leaving the comfort of your own home (or paying for gas or other travel expenses). It is free to attend live (with the option to buy a complete access pass after it ends). I am excited to be a part of it! This conference features a variety of speakers, from homeschooling moms to owners of businesses you’ll want to hear from. Speakers include Lisa Marie Fletcher (the host of the conference), Donna Ward, Louise House, Bev Rempel and me! Sessions include topics such as getting started, homeschool methods, all ages and stages including high school, subjects such as math and reading, and more. Chats. Parties. Prizes. Used Book Buy & Sell. Connect with other homeschoolers and help create an environment of community and fun during this conference. Visit with some of your favourite homeschooling vendors and learn about some fantastic new ones in the vendor hall! Don’t miss this amazing event. Register now, free! And now for the giveaway! One of my lucky readers will win an all access pass, which means lifetime access to ALL the recordings from this event! A $97 value! Giveaway is open worldwide and ends at midnight Atlantic Time on Friday, February 10th. Winner will be notified via email and must respond within 48 hours to claim their prize or another winner will be chosen. This post contains affiliate links. If you click through and buy, I make a few pennies to keep up Homeschooling in Nova Scotia. Thanks for your support! I love homeschool conferences! They are a great way to learn about different curricula and meet new homeschooling families, and the sessions can be invaluable. I always leave refreshed and energized to tackle a new year of homeschooling. I try to make it to as many as I can but since the Nova Scotia conference is usually the same weekend as my daughter’s dance recitals (as it was again this year), I usually don’t get to go. Of course, there’s also the fact that it’s almost a five hour drive to get there! Some years I haven’t been able to go due to finances or a lack thereof. Now there’s an online conference I can attend, yay! The Digital Homeschool Convention offers more than 30 different sessions over four days next month. 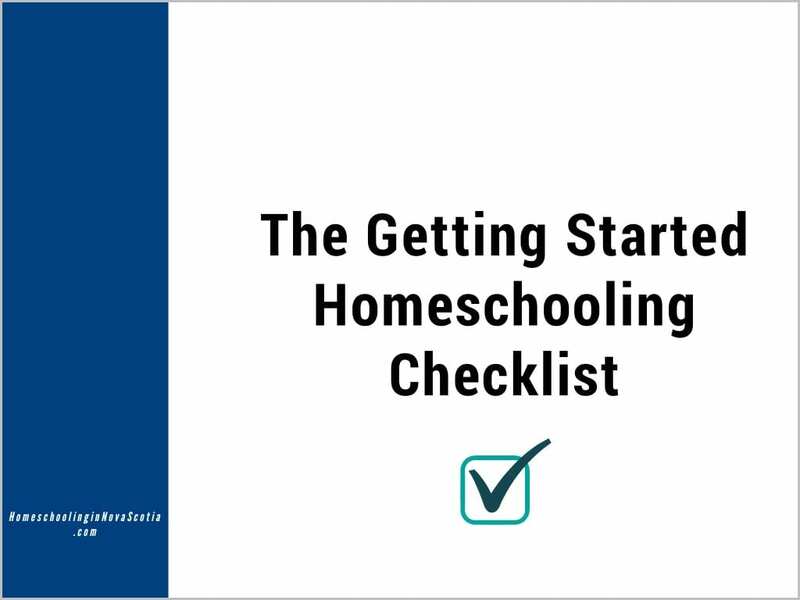 Topics vary from special needs homeschooling, to creating homeschool portfolios, to finding margin as a homeschool mom! You will enjoy these encouraging uplifting words from amazing homeschool moms. I am especially looking forward to Creating Margin as a Homeschool Mom (something I often struggle with) by Heather Bowen and How to Make Art Appreciation a Natural Part of Your Homeschool Life (because I would love to) by Erica Johns. The best part of this conference is that you don’t need to leave your house. You don’t have to spend money on food, gas, or hotels, and registration is free as are the sessions! Mark it on your calendar now – it all happens July 22-25. You can register here, free! 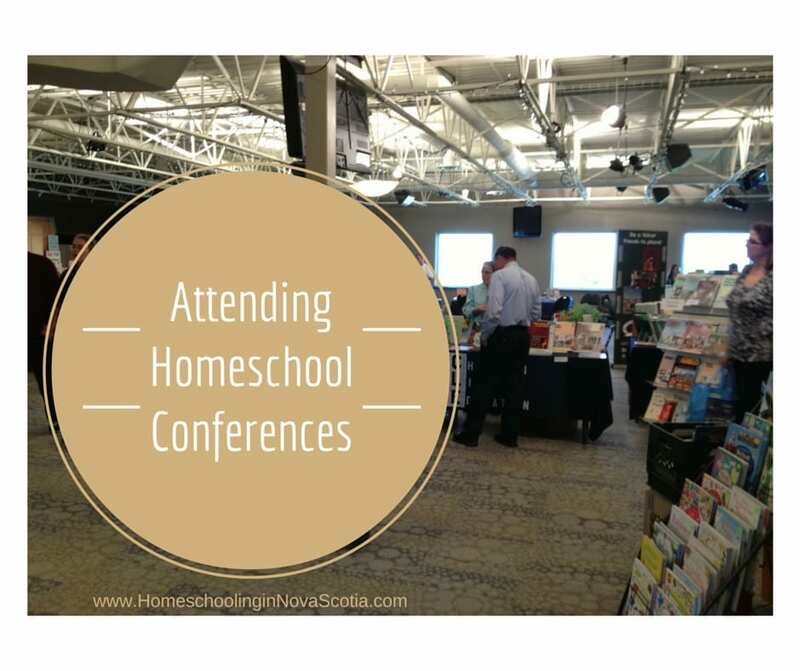 Have you been to a homeschool conference? 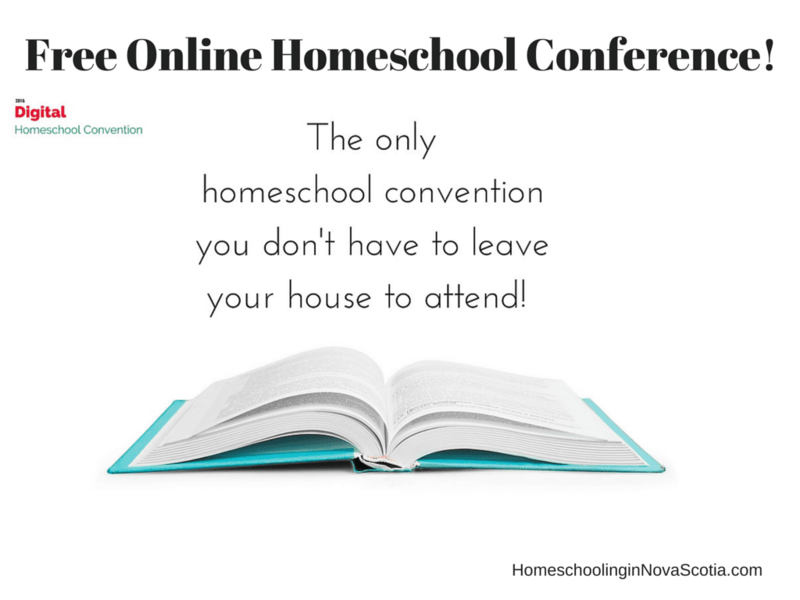 What do you think is the best part about attending a homeschool conference? Please let me know in the comments below! Please note: This article includes affiliate links. If you click through and buy, I make a few pennies to keep up Homeschooling in Nova Scotia. Thanks for your support!